Flights to Sardinia ~ Sardinia Baby! There are three main airports on the island - Cagliari, Olbia, and Alghero. Cagliari (Aeroporto "Mario Mameli") is located in Elmas, approximately 6 km west of the city center and serves the holiday maker in the south of the island. It is easily accessible by bus, train and road. It's the busiest airport in Sardinia, and the 13th busiest in Italy with some 3, 333, 400 passengers a year. Cagliari is well connected by domestic flights to Milan-Linate and Rome-Fiumicino as well as many international flights from Western Europe. Easyjet flies directly to Cagliari from London Stansted from May to September. Olbia Airport (Aeroporto di Olbia-Costa Smeralda) in the north east is the second busiest airport in Sardinia and the gateway to the wealthy Costa Smeralda so if you own your own private jet this is the airport for you! It ranks 17th in Italy with around 1,694 000 passengers a year. Although not as big as Cagliari it is still well connected to France, Germany, UK, Spain, Norway, Denmark, Austria, Switzerland, Belgium and Netherlands. 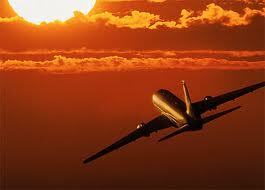 Again it is served by Easyjet from Stansted in the summer and also Jet2 from Edinburgh Airport. Alghero-Fertilia Airport (Aeroporto internazionale "Riviera del Corallo") in the north west is the third busiest in Sardinia and the 20th busiest in Italy with 1,507,016 passengers a year. It is situated in Fertilia, 10.5 km Northwest of Alghero and easily accessible from Alghero and Sassari. It is essentially a domestic airport but well connected by Ryanair to London Stansted (all year round), London Luton and Dublin as well as flights from Germany, Holland, France, Sweden, Denmark, Norway, Spain and Slovakia. If you are lucky enough to be super rich maybe this site is for you http://www.charmingsardinia.com/sardinia/luxury-private-jet-hire You can hire your own private 'Lear Jet 60' to get to and from the Island. We have requested a quote so we hope we can post it tomorrow!